Benelli is an Italian manufacturer based in Pesaro, which is the capital of the Pesaro e Urbino province located on the North-Eastern Adriatic coast of Italy. It was here that Benelli was born early in the 1900s as a shotgun manufacturer and it began to make two-wheelers soon after. Today the gun business and the two-wheeler business are separate entities. The two-wheeler business has had a up and down history that led to Chinese group Qianjiang purchasing the brand and factory from its previous owners, the Merloni Group in 2005. The Merloni Group did lead to the stunning Tornado line of superbikes and then the equally stunning and stubby TNT sport-naked. Under the new Chinese owners - who decided to keep production in Pesaro - the product line has expanded. And we believe we are going to get the option of spending money on almost all of the range when DSK makes Benelli's India presence official soon. While we wait, here is a quick review of the full range. But first a word of warning. Some of the motorcycles listed here may or may not be part of the Benelli line. This is because Benelli's global websites are pretty confusing and to give you an example, while Benelli America sells the Tornado Tre, Benelli Australia sells both the 1130cc Trek and TNT models but makes no mention whatsoever of the Tornado. The Tornado was the motorcycle that really put the Benelli name back on the map. It began life in 2002 under the direction of then new owner Andrea Merloni. Reportedly inspired by John Bloor's resurrection of Triumph, he commissioned the creation of a new 1000cc sports motorcycle. The Milan show in 1999 was the first time the design saw light of day and it blew people away. The show bike housed a 900cc triple which was a stressed part of the frame. The engine was mounted dramatically forward to reduce wheelies and the radiator was moved under the seat pan. This produced a higher seat height to be sure but also gave the Benelli the twin yellow radiator fan, housed in vents, aft of the seat, that became a style signature of the lovely Tornado. Entering production in 2002, the 900 still had issues and Benelli Tornados weren't highly regarded initially for their reliability. 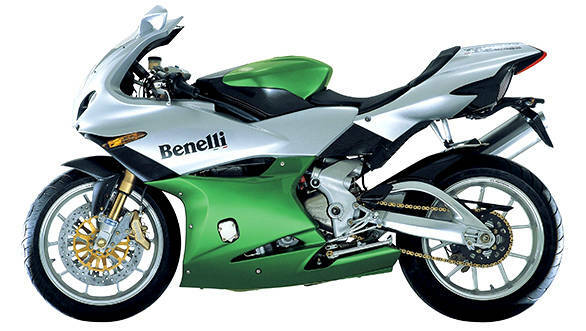 In 2004 came the Benelli Tornado Tre 1130 with the new 1130cc engine that produces 160PS. The green and silver colours in the image were the launch colours for the motorcycle. The Tornado Tre comes in substantially two models, the base model that gets two seats and the top model which gets a single seat. Post-2004 models are regarded as reliable, but the unique seat-radiator arrangement creates a high seat with a lower handlebar that isn't good for long rides. The name itself is a bit confusing. But the Tre K, or the TreK, depending on who you ask, is the adventure tourer. 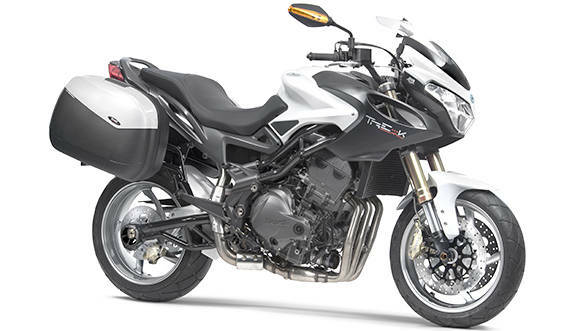 Benelli.com officially lists the two bikes as the Tre 1130 K and the Tre 1130 K Amazonas. Both use the Tre engine - a 1130cc triple with four-valves per cylinder, double overhead camshaft. This is the same engine as the Tornado's, but is tuned down to 125PS and 11.4kgm (that's roughly 111.8Nm). The TreK, which arrived in 2006 is regarded as amongst the best of the Benellis. 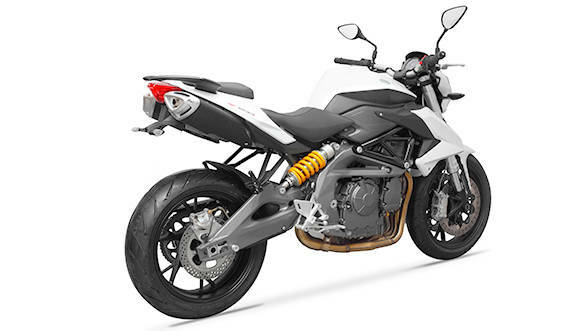 It is supposed to be a versatile motorcycle in the same vein as the Ducati Multistrada and is regarded as a very effective motorcycle. However, unlike the Ducati, the TreK isn't festooned with a surfeit of electronics meant to keep you out of hedges. The TNT is another iconic design that really broke the mould, when it comes to sport-nakeds, with its insect-like looks. 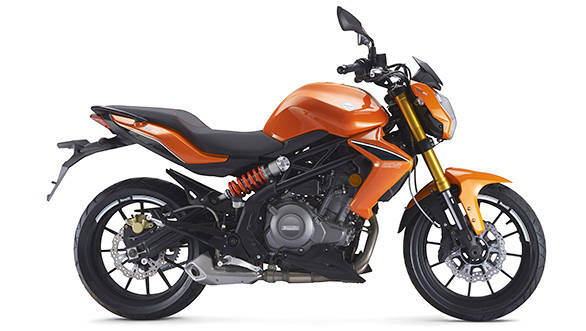 It is available now in 899 and 1130cc versions. The bigger one came out first, in 2004. It was regarded very highly for combining this amazing styling package with a very powerful 135PS motor and the TNT was quickly recognised as a hooligan's tool. Today, the 1130 TNT makes 158PS. 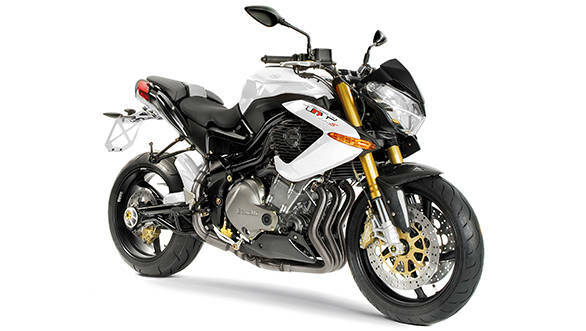 The Triumph Speed Triple is the nearest we can think of to the nature of the TNT. From 2005, the TNT gained engine maps. The 899cc model came out wearing its 120PS engine - offering a marginally milder and more affordable version of this explosive sport-naked. The motorcycle that India should be paying attention to is the range of BN600s. These were developed under the Chinese owners and boast a new 16-valve DOHC 600cc inline four cylinder engine that makes 82PS. Benelli deploy this engine in a number of formats that span from a naked bike to a tourer with minor differences in spec and style. These bikes should be attractively priced and should sell in good numbers for Benelli in India if the quality, pricing and feel come right. Answers soon. The BN302 is brand new. It's a 300cc liquid-cooled four-valve DOHC twin cylinder powered motorcycle that is currently only in naked form. But given how the BN600 range has expanded, it stands to reason that the BN302 is the first of other models that Benelli will roll out in the future. The BN looks nice with its trellis frame, single shock mounted on the right, sort of like the Ninja 650 does, and that parallel twin does fill the frame out rather well. If priced competitively, the BN302 will be the volume getter for Benelli in India. And with 37PS on tap, it will not be slow either. Benelli also make a range of scooters spanning 50cc (including a two-stroke model) to 350cc. Many of them, however, are the sort of big-wheeled scooters that are quite popular in Europe but unlikely to do well in India because they look like tarted up stepthroughs. 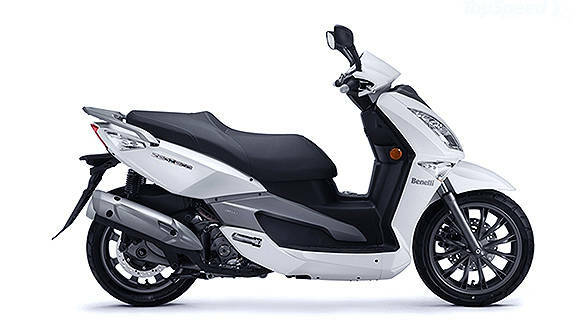 The X125/150, QuattroNovex scooters though look like neat, sporty scooters that the young could enjoy while the Zenzero 350 is the flagship with its 21PS 350cc single cylinder in a double cradle frame. However, we don't think Benelli scooters are coming immediately - the motorcycles will come first.